WASHINGTON (CNS) — A priest from the Chicago area who was on board an Aeromexico flight that crashed in the Mexican state of Durango July 31 sustained injuries but was “alert and resting,” said a statement issued the same day from the Archdiocese of Chicago. 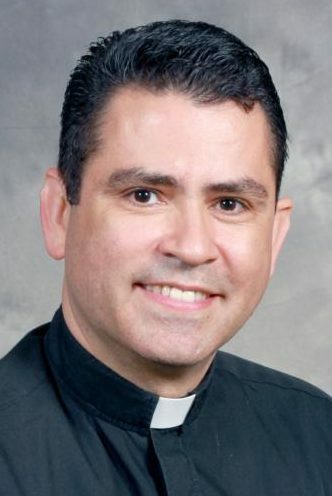 Though the airline reported no fatalities, Father Esequiel Sanchez, director of the Shrine of Our Lady of Guadalupe in Des Plaines, Illinois, was one of about 80 reportedly injured during the crash of flight 2431 from Durango to Mexico City. Authorities have not said what led to the crash, but some speculate that bad weather may have been a factor. The plane reportedly crashed shortly after it had taken off in stormy weather. Local Chicago television news station ABC 7 interviewed Father Manuel Padilla, vice rector of the Guadalupe shrine in suburban Chicago, who said in a July 31 news report that Father Sanchez had called after the crash to say he was doing “more or less OK,” but has “some broken bones.” The Archdiocese of Durango said on Twitter that the priest’s injuries are not life-threatening. A biography of the priest on the website for the shrine says the priest’s parents are from Durango. One news story said he was visiting relatives there and was supposed to be returning to the Chicago area on the day of the flight. The Archdiocese of Chicago asked for prayers for the priest and those affected. A Twitter account for St. Mary Parish in Riverside, Illinois, said others from their parish also were on the flight.